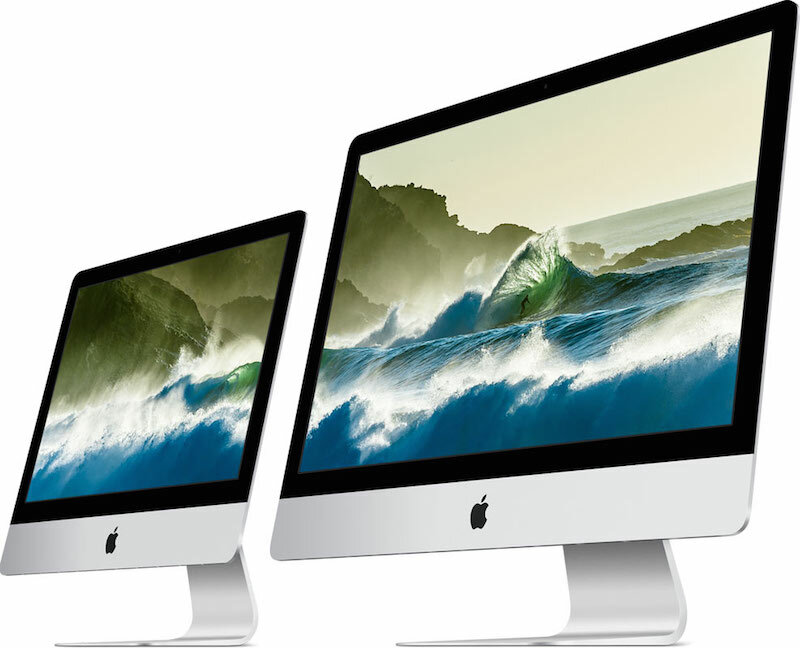 Apple has finally carried out a specifications upgrade on its smaller 21.5 inch iMacs after over two whole years. The upgrades come in the form of a 4K version of the 21.5 inch iMac with a display that features some tech that Apple claims shows 25% more colour than previous models. Essentially, we should be able to see a good increase in sharpness and overall colour reproduction. Other than the screen, Apple has updated the processors and RAM of the device. The iMacs get an upgrade to Intel’s Broadwell processors (which are already one generation old) instead of the newer Skylake processors (probably due to the absence of Skylake chips with Iris Pro graphics). The cheapest iMac ($1,099) has a dual core 1.6GHz core i5 processor with a 1080p display whilst the 4K model ($1,499) starts off with a 3.1GHz quad core i5. RAM gets a good upgrade too, moving on from the 8GB 1600MHz LPDDR3 RAM to the beefier 8GB of 1867GHz LPDDR3 RAM which by the way is expandable up to 16Gb. Thunderbolt 2 has also been added along with a larger storage option. The updates have all been specification oriented and the iMacs feature no new design or aesthetic changes. The sleek build will probably be around for a couple more years so get used to the look of it. The new iMacs ship with OSX El Capitan and are available online and at Apple stores for purchase.